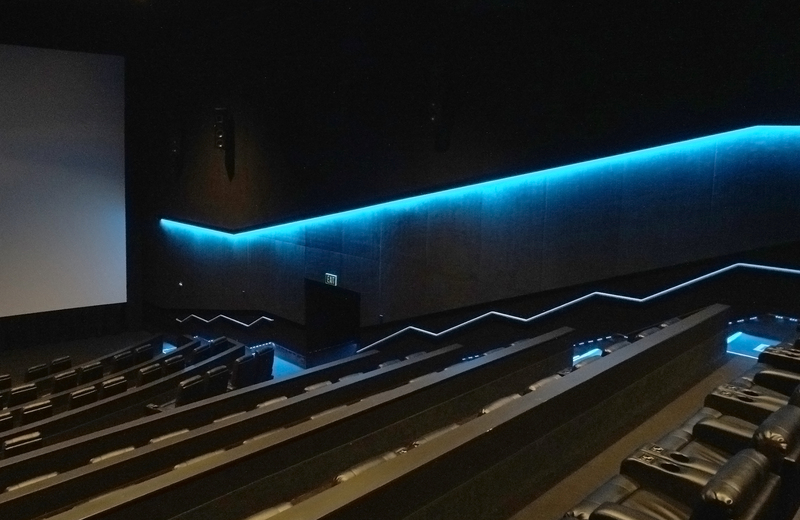 The Soft Graze is a low voltage linear LED lighting system for theatres that provides a soft graze of light on acoustic wall panels. PVC construction is ready for fabric application to match acoustic panels or use contrasting fabric color for a stripe affect. Mix and match straight or angled runs to create unique lighting affects.